The primary purpose of the lab is to provide solution NMR spectrometer time. Six NMR spectrometers from 500 MHz to 800 MHz are available. Almost all lab clients learn to operate one or more spectrometers. 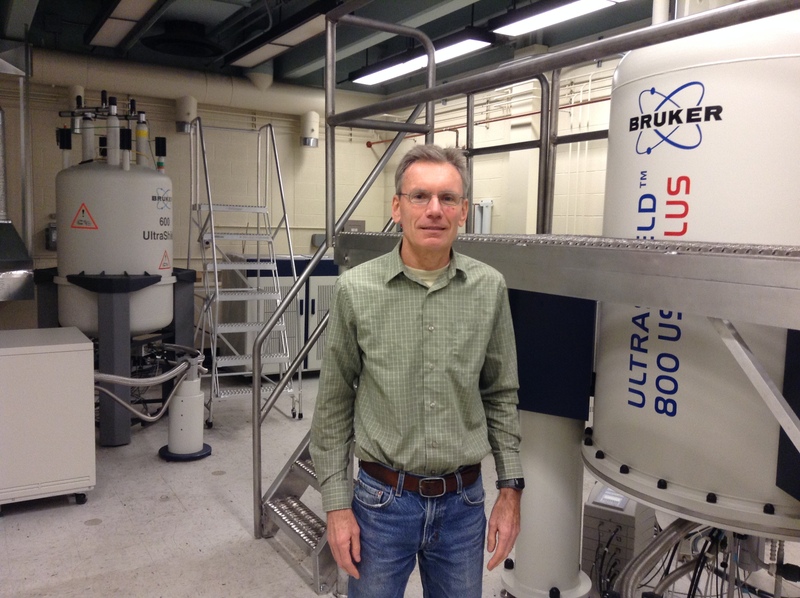 Jeff Ellena, the lab manager, has 30 years of experience with NMR and is available for consultation, teaching spectrometer operation, and assistance with designing projects and collecting data. UVa Chemistry Bldg., McCormick Rd.